In order to fulfill the ever-changing demands of our clients, we have been engaged in offering a quality range of Sheet Metal Panel Checking Fixtures. In order to meet the variegated requirements of clients, the professionals of our firm develop this range of Checking Fixture using quality tested raw material in accordance with defined quality standards. The offered range is extensively used for checking the quality of automotive parts. Furthermore, we offer our product array at pocket-friendly prices. 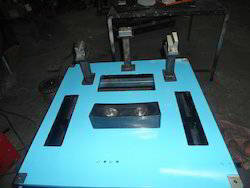 We are one of the prominent manufacturers and suppliers of an extensive range of Checking Fixtures. These are manufactured as per ISO standards, which ensure optimum quality in the end product. Our range is widely appreciated for excellent functionality, durable construction, precision design and high performance. We have expertise to supply all type of panel checker, Gauges. We also provide inspection and calibration services with our through our well equipped lab. Product Material: Steel, nylon, ABS, PP, PA, PE, PC, PBT, TPE, TPU, etc. n order to fulfill the ever-changing demands of our clients, we have been engaged in offering a quality range of Checking Fixture for Sheet Metal Components. In order to meet the variegated requirements of clients, the professionals of our firm develop this range of Checking Fixture using quality tested raw material in accordance with defined quality standards. The offered range is extensively used for checking the quality of automotive parts. Furthermore, we offer our product array at pocket-friendly prices. We are one of the prominent manufacturers and suppliers of an extensive range of Crimping Fixture. These are manufactured as per ISO standards, which ensure optimum quality in the end product. Our range is widely appreciated for excellent functionality, durable construction, precision design and high performance. We have expertise to supply all type of panel checker, Gauges. We also provide inspection and calibration services with our through our well equipped lab. 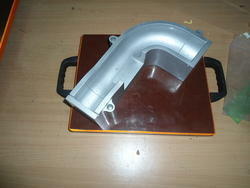 • Product Material: Steel, nylon, ABS, PP, PA, PE, PC, PBT, TPE, TPU, etc. 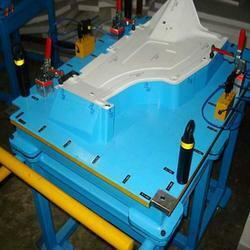 We are offering Glass Checking Fixture to our valuable clients. These Glass Checking Fixture are used to check the profile trim line of all automotive glasses such as Front, Rear and Side Glasses. Colour: Available in wide color range. 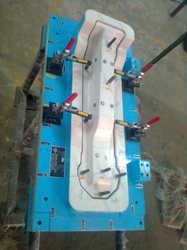 We are dealing in wide range of Pipe Bending Checking Fixture. 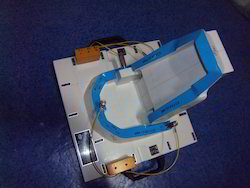 We are instrumental in offering a quality range of Plastic Component Checking Fixtures. These Plastic Component Checking Fixtures are manufactured under the strict supervision of quality controllers using technologically advanced machines. All the products of our firm are stringently tested by a team of quality inspectors on various parameters, before their final dispatch. Moreover, clients can avail our products at economical prices via easy payment modes.. Looking for Checking Fixtures ?